At Veterinary Medical Center of Central New York, we understand that the health of your pet is a top priority. In the case of an emergency or a condition requiring specialized care, we're here to treat your pet in our state-of-the-art, 24-hour Emergency and Critical Care Center. We know that emergencies happen at all hours. That’s why we’re here every hour of the day, every day of the year. Our emergency doctors and staff work in our emergency service because they love it and enjoy the challenge. They’re here on Christmas morning, New Year’s Eve, during the Superbowl, on Mother’s Day, Labor Day, Thanksgiving, and every other hour of the year. They’re committed to “being there” for you and your pets. Pets require specialized care for many of the same reasons humans do. The pet may require intensive monitoring, an advanced surgery or treatment, or they may have been diagnosed with cancer, for example. VMC has the largest and most varied group of veterinary specialists in the greater Syracuse region. 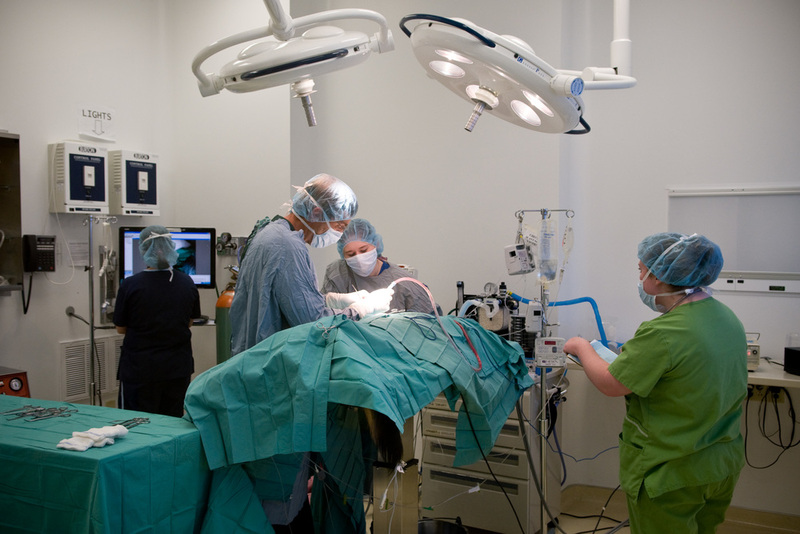 Our specialists can provide comprehensive collaborative care to your pet, drawing on shared knowledge and talent. We are a collaborative Pain Management and Rehabilitation Center offering both Eastern and Western modalities. Our team of specialized professionals will coordinate the best possible treatment plan for your pet and your family using a combination of advanced pain medicine, physical rehabilitation therapy, myofascial and acupuncture needle therapies, spinal manipulation and chiropractic therapies, as well as herbal therapy.